As we we have discussed before, ironing is the worst chore. Really anything that has to do with the care of clothing is awful. So I’m really happy that technology is looking to fight this scourge of annoyance so that I have more time to look at cat pictures on the internet. 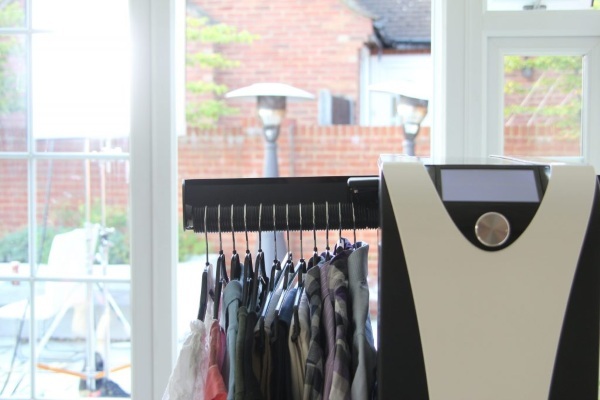 The effie is the home appliance that dries and irons your clothes for you. This is a fairly simple system, just hang up to 12 items of clothing on the rack and push start. All you need is a bit of water in the tank and it’s ready to go. The hangers can be adjusted to fit a variety of sizes so this will work for an entire household’s clothing. This innovation isn’t out yet but it’s so neat and it would be great to see more technology like this. I don’t need to control my oven with an app, I need a way to automate laundry. That would make me happy. Check out the video below to see how it works.